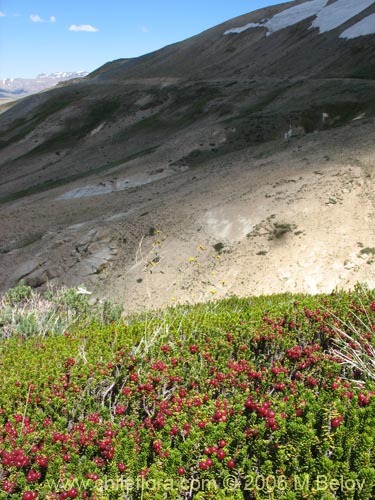 Species: Empetrum rubrum Vahl ex Willd. 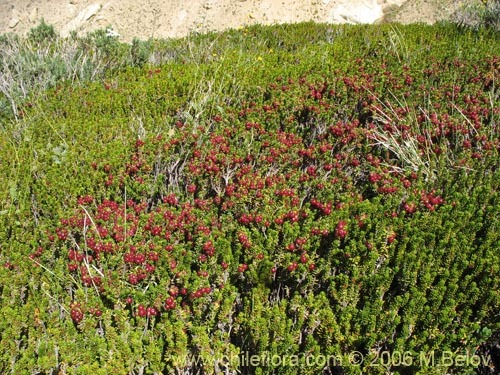 About 1 Empetrum in Chile and 1 in our data base. 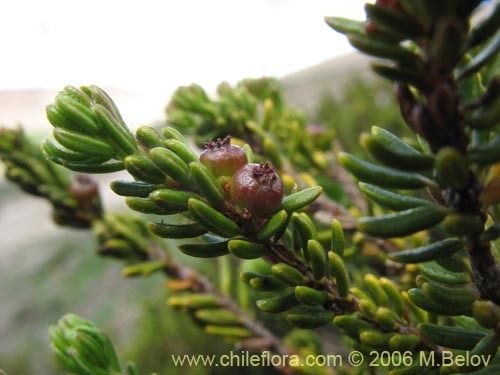 About 1 Empetraceae in Chile and 1 in our data base. 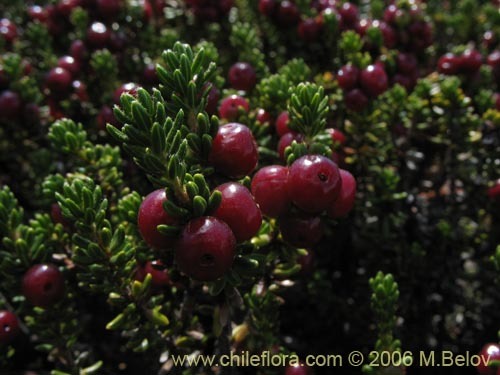 This is one of the hardies Chilean plants, and offers edible berries which are very ornamental for their color. It is an ornamental shrub which has also edible fruits. The cultivation of this species is not very difficult. It needs sufficient watering, soil with good drainage, cool temperatures, and direct sunlight. 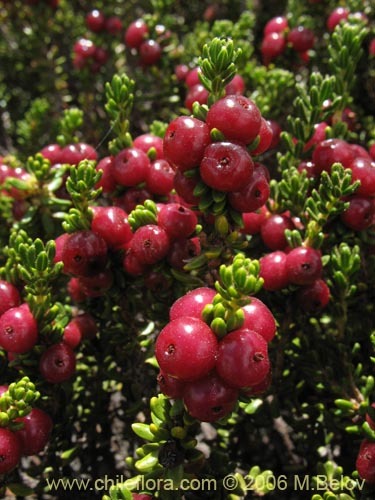 Unlike other species of the genus, like Empetrum nigrum, which grows on swamps, this species does not require permanent watering or swamp-like habitat.